Microwave photonics continues to see rapid growth. The integration of optical fiber and wireless networks has become a commercial reality and is becoming increasingly pervasive. Such hybrid technology will lead to many innovative applications, including backhaul solutions for mobile networks and ultrabroadband wireless networks that can provide users with very high bandwidth services. Microwave Photonics, Second Edition systematically introduces important technologies and applications in this emerging field. It also reviews recent advances in micro- and millimeter-wavelength and terahertz-frequency systems. The book features contributions by leading international researchers, many of whom are pioneers in the field. They examine wave generation, measurement, detection, control, and propagation in detail, as well as the devices and components that enable ultrawide-band and ultrafast transmission, switching, and signal processing. These devices and components include optical-controlled microwave devices, optical transmitters, receivers, switching devices, detectors, and modulators. The book explores the theory, techniques, and technologies that are fueling applications such as radio-over-fiber, injection-locked semiconductor lasers, and terahertz photonics. Throughout, the contributors share insights on overcoming current limitations and on potential developments. Fully illustrated with more than 300 figures and tables, this book offers a detailed, wide-ranging overview of the current state and future directions of this burgeoning technology. Chi H. Lee received a B.S. in electrical engineering from the National Taiwan University in 1959 and a Ph.D. in applied physics from Harvard University in 1968. He has been a faculty member of the electrical and computer engineering department at the University of Maryland, where he is now a professor emeritus. Professor Lee’s areas of research include microwave photonics, ultrafast optoelectronics, lasers, and electro-optic devices. He is a fellow of the IEEE, the Optical Society of America, and the Photonic Society of Chinese Americans. He was the chairman of the technical committee on lightwave technology in the IEEE Microwave Theory and Techniques (MTT) Society. Professor Lee was the general co-chair of the International Meeting on Microwave Photonics in 1998 and the chairman of the Steering Committee of the International Microwave Photonics Meeting for 1999. He was the chairman of the IEEE/LEOS technical committee on microwave photonics from 1997 to 2003 and a guest editor of the special issue on microwave photonics for the Journal of Lightwave Technology published in December 2003. "The book presents all parts and aspects of the area of microwave photonics, providing recent R&D results and their applications. It covers the key trends in the field, including the integration of wireless standards into novel optical architectures in particular to support high-bandwidth mobile backhauling, the support of the emerging distributed antenna standards, and techniques for enabling dynamic capacity and mobility management in converged optical/wireless networks. This way the book is useful for researchers, system engineers and also students." "This timely edition on microwave photonics is crucial for the further advancement on the ever-increasing need of communication technologies. Both the wireless local area network and fiber optics based long-haul communications have benefitted from the fast-growing microwave photonics. This new edition is urgently needed for the experts to catch up with the latest developments, and at the same time, it is also convenient for the general reader to taste the wide variety of modern microwave photonics technologies." 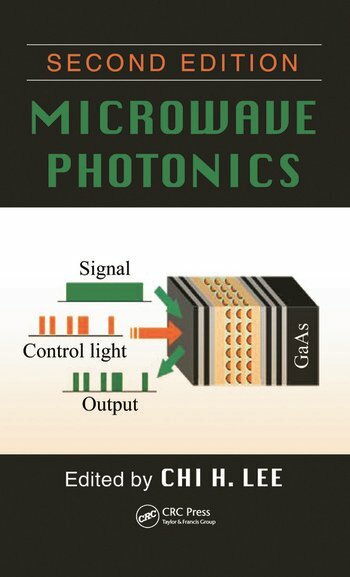 "The book offers a broad view of the microwave photonics blooming field. The partition in chapters written by the most active researchers permits to give an accurate state of the art in many parts of the field. Broad and accurate, I think this book will be very useful for engineers and researchers entering the field."